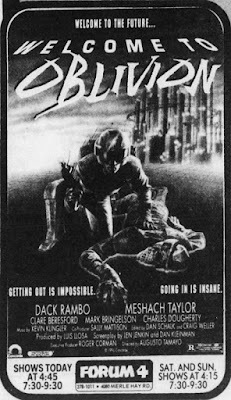 WELCOME TO OBLIVION, a cheap but straightforward futuristic action movie that Luis Llosa produced in Peru for Roger Corman's Concorde Pictures, received a theatrical release in Cincinnati, San Diego, and other cities beginning in February of 1990. 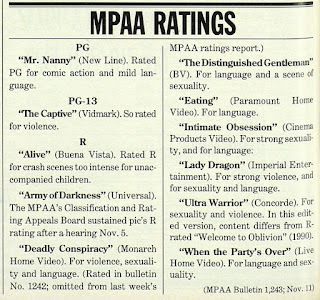 A screener cassette from Concorde was sent to Variety critic Lawrence Cohn at the end of that year and his negative review (below) appeared in the January 28th, 1991 issue of Daily Variety. For whatever reason, WELCOME TO OBLIVION never made it to home video. 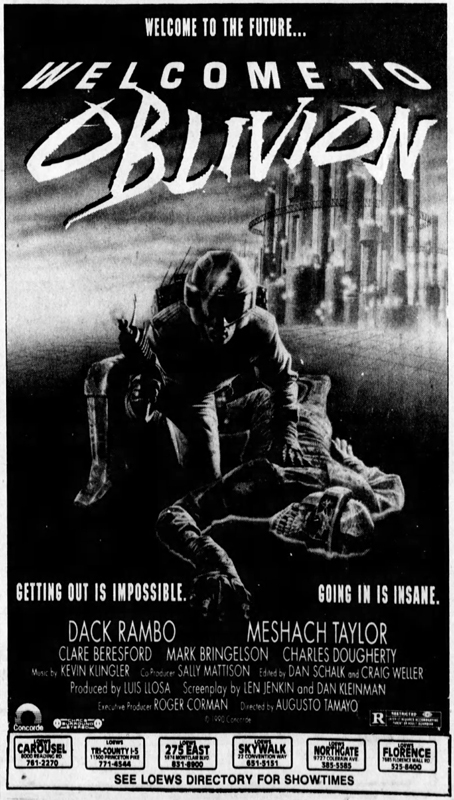 Instead, an alternate version was constructed by editor Robert L. Goodman consisting of sequences from the original film, new scenes produced by Mike Elliott and directed by Kevin Tent -- including an appearance by Corman as the President of the United States -- and footage pulled from BATTLE BEYOND THE STARS, WARLORDS OF THE 21ST CENTURY, THE WARRIOR AND THE SORCERESS, WHEELS OF FIRE, CRIME ZONE, LORDS OF THE DEEP, and DUNE WARRIORS. 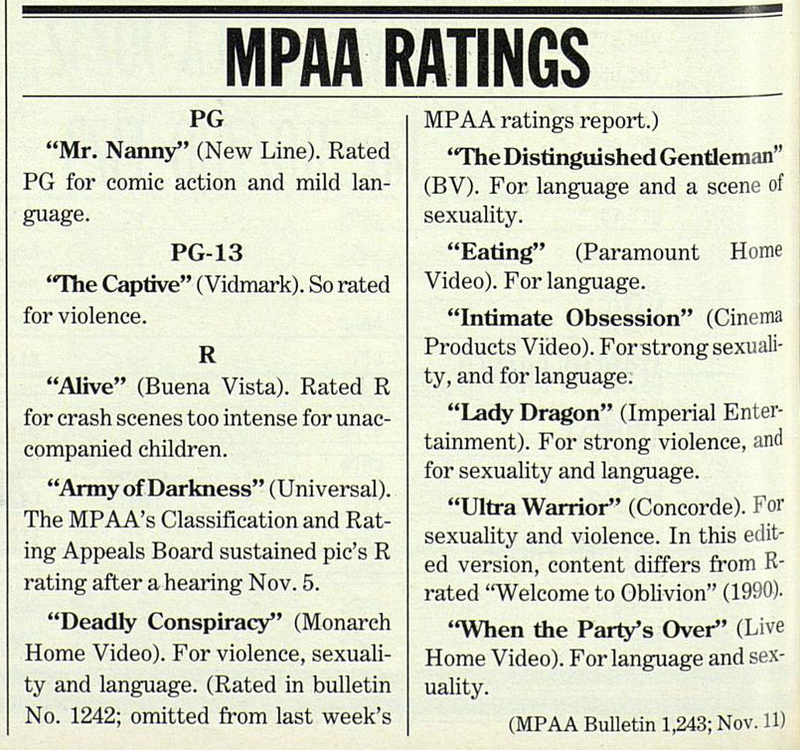 Music by Terry Plumeri and Ed Tomney was also added, and the title was changed to ULTRA WARRIOR. 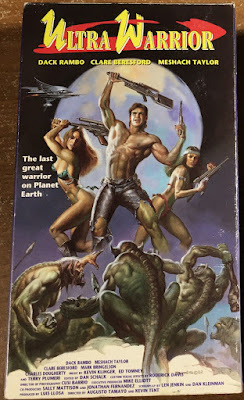 Nearly three years after its release as WELCOME TO OBLIVION, the Frankenmovie known as ULTRA WARRIOR emerged from the bandages as a videocassette sporting new Boris Vallejo box art on December 17, 1992 from New Horizons Home Video. 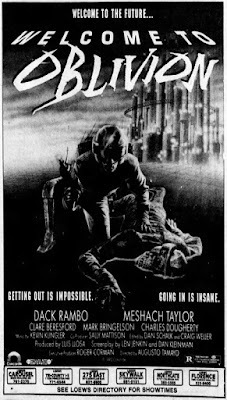 This version, also a no-show on DVD and Blu-ray, currently has an IMDb user rating of 1.6 out of 10. We find it impossible to believe that WELCOME TO OBLIVION is worse than ULTRA WARRIOR. 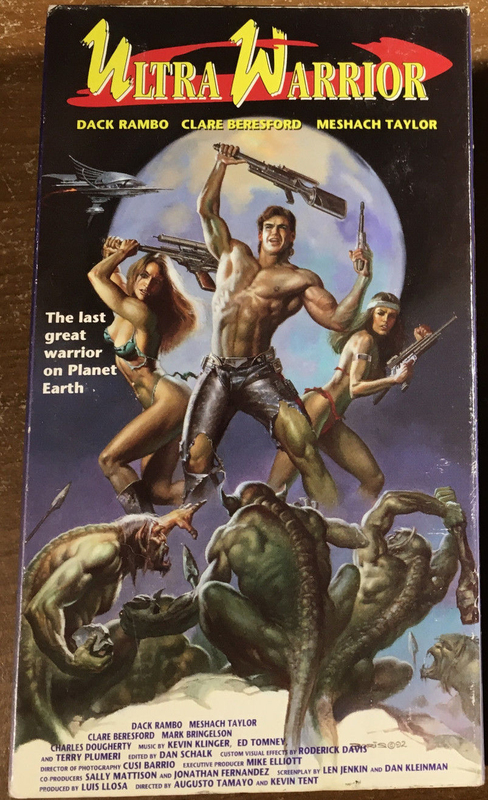 It's time for some company to put out a special edition Blu-ray with both versions and a featurette that explains why this happened.